We're excited to offer this capable 2008 Volvo C70 . Whiplash protection system front seats (WHIPS), Ultra-slim centre console, ULEV certification, Trip Computer, Steering wheel mounted audio controls. This Volvo C70 Features the Following Options Speed-sensitive pwr rack & pinion steering, Side-impact protection system airbags (SIPS)-inc: front seat mounted side airbags, Security alarm system, Retractable 3-piece hard top w/deadbolt locking, Remote keyless entry, Rear-window defroster w/auto timer, Rear foglight, Rear door mechanical child locks, Pwr/heated mirrors w/side direction indicators, Pwr windows w/auto up/down. Expert Reviews! As reported by KBB.com: Like to stand out from the luxury car crowd while demonstrating your canny practicality at the same time? The Volvo C70 coupe-convertible fills that bill very nicely. 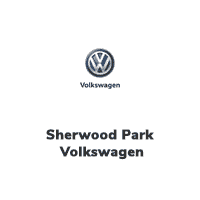 Stop By Today You've earned this- stop by Sherwood Park Volkswagen located at 2365 BROADMOOR BLVD, SHERWOOD PARK, AB T8H 1N1 to make this car yours today!